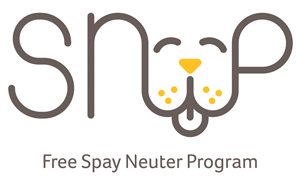 We are SNiP (Spay Neuter Program Inc.), an independent, all volunteer TCI not-for-profit charity officially launched in early 2017. Our Board Members are all current & past volunteers of other animal welfare organizations in TCI who were looking for a better, more effective, and humane way of controlling the free-roaming animal population. After years of volunteering we were frustrated that it was often the same owners bringing in puppies and refusing to sterilize their animals – either due to a lack of funds, lack of access or lack of desire. We were particularly frustrated that there wasn’t a bigger, concerted effort to focus strictly on spay & neuter. 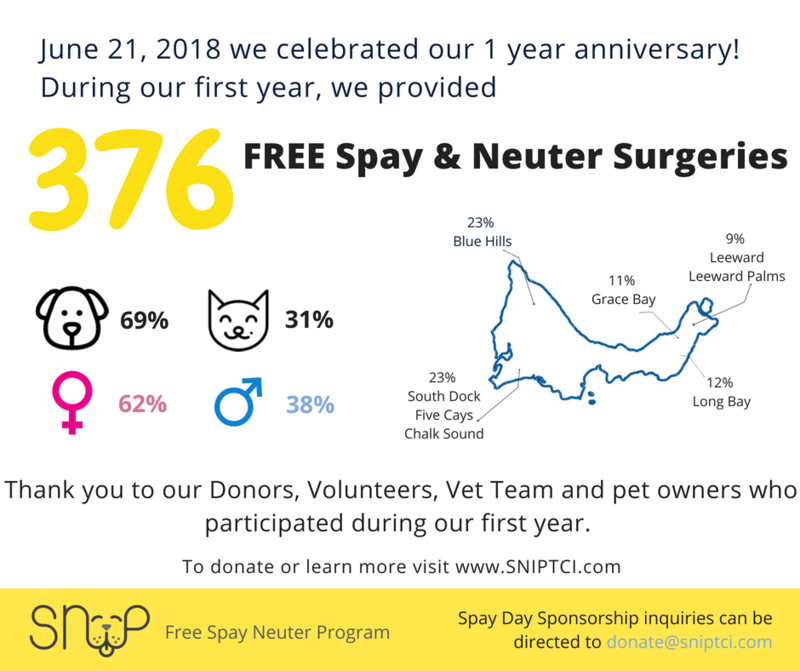 Realizing there was a gap in the islands’ spay neuter efforts we formed SNiP to focus solely on one thing: ‘fixing’ the many unsterilized animals in TCI. 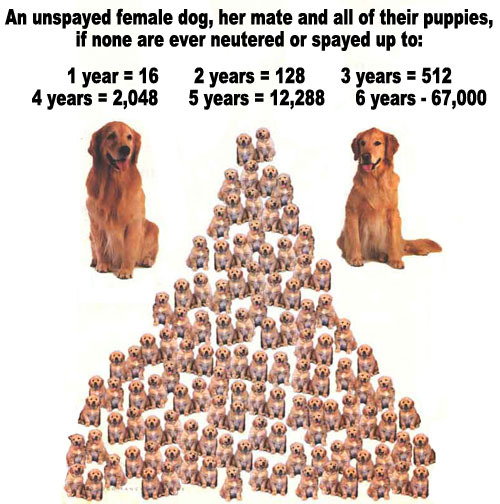 If you consider that one female dog and her offspring can become 60,000 dogs over 6 years, we can truly understand the importance of starting at the top and sterilizing that one female. With the arrival in January 2017 of the full-time veterinary team at Bark & Bliss Animal Wellness Center (our veterinary partner) SNiP is able to execute our mission of offering spay neuter surgeries, year-round to the local community. In order to make the biggest impact possible, SNiP offer animal sterilization for FREE, no questions asked. 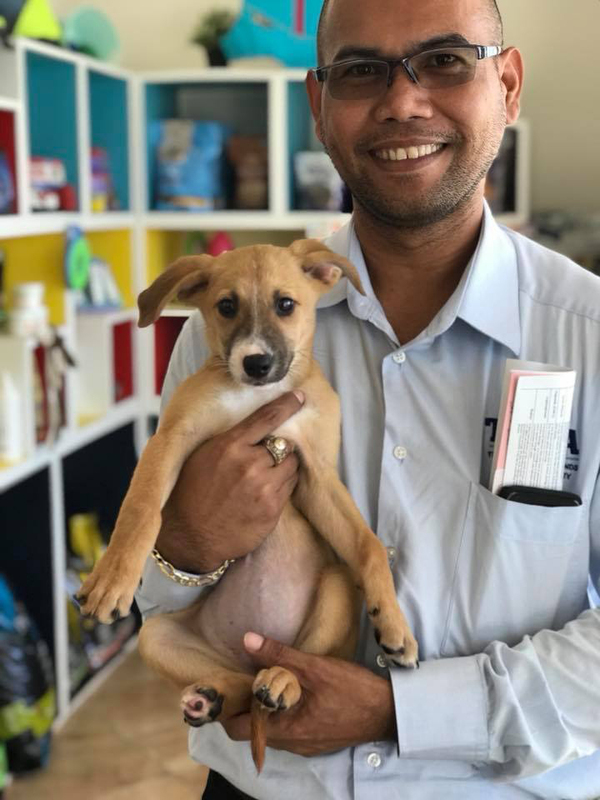 In order to provide these surgeries to animal owners for FREE, SNiP must raise the funds to purchase the required medicines and supplies needed for the procedures through donations from the public, individuals and various businesses.